I have spent many hours in the Scottish mountains, but two experiences stand out more than any others, and couldn’t be much more different. The similarities…both times I wanted to give my life away…both times were a heart cry. However, the first my life was a mess…the second it was becoming a masterpiece. It was the end that I had been dreading. The end of a three year relationship that had drained me of myself, and I was left with nothing. I had given my life away. Neglected friendships, an unhealthy relationship, unhealthy habits and behavior, and denial of truth overshadowed my life. When you give your all to someone, and to the world; when they are your god, then they leave…you are left with nothing. I drove into the mountains, steering wheel in one hand, bottle in the other. I don’t know what my plan was, but I didn’t care…I honestly just wanted run off the road. I wanted to give my life away to drink, and to whatever end that brought. I realize now that it was really a cry for help. You see, I didn’t drive to some remote location…I drove to the first place I knew my ex would think to look for me, and I knew my mum would ask him for an idea. My life started the downward spiral of mess at the age of 18. This mountain experience was the breaking point of my life as a MESS, and the start of a long climb back up out of the pit! I had been working in a Private Christian School, and it had closed down leaving me out of work, and devoid of direction. I was living out my faith, but not living BY faith. With everyone taking their turn to advise me…I needed quiet! I drove up to the mountains, steering wheel in one hand, BIBLE in the other! I had a plan this time…to spend time with my Father God. On that mountain I surrendered all! I gave my life away! 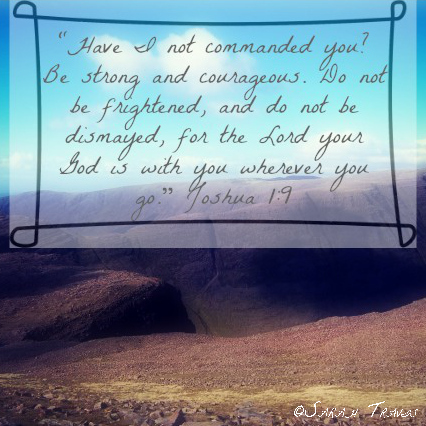 I cried out for help…this time I cried out to The LORD! God showed me that the beauty of CREATION that stood before me on that mountain…the vast expanse of the mountain range, ocean, and islands I could see…were a MASTERPIECE! He revealed to me how AWESOME and MAGNIFICENT His design was, and that, just as He made those mountains to reveal His wonder and glory, He created me to do the same. He asked me to TRUST in His plan for my life, and promised to be with me. Later that year, still jobless, I took some time-out in Knoxville, TN to visit friends that I had made through a church missions link-up with my church in Scotland. God was with me! He revealed a plan for me to have a future connection with that place. In 2011 I spent 10 months ministering to inner-city kids in Knoxville. I met Jason in August 2011 through ministry. I am now married to Jason and living in Wake Forest, NC where Jason is attending Seminary. I am a Christian Writer and Speaker and also have the honor of being involved with Proverbs 31 Ministries Online Bible Studies as the Conference Call Community Leader. Through the MESS of my life and all the trials I encountered, God has given me a heart to minister to other women who face similar trials to show them that there is HOPE. Part of my downfall was that I was not grounded enough in Scripture, I was standing on rocky ground, and it crumbled under me during those trials. It is my heart and passion to speak the TRUTH of God’s WORD, and to help women to stand on the solid ROCK and CORNERSTONE of Jesus Christ (Ephesians 2:20). God has taken my life from suicide to surrender ~ He has made me a MASTERPIECE! 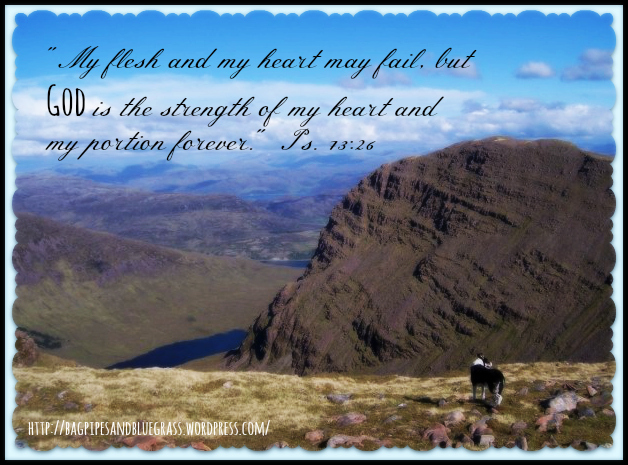 Your post makes me think of a song I learned long ago…”On Chris the solid rock I stand! All other ground is sinking sand. All other ground is sinking sand!” Thanks for sharing your story. I did smile when I read about your Bruce Almighty moment — Awesome! It is so great to claim the truth that I am God’s masterpiece! Thanks for sharing. I love you so much and praise God for your surrender to Him. You are an amazing woman and a blessing to so many! And I am so blessed to call you a friend. You make my heart smile and even though we’re miles apart I see Jesus shining through you at this very moment. LOVE YOU! Your post was wonderful and encouraging and I thank Him for you, for giving you a heart of service and being a blessing. Praise the Lord for all that He has been doing in and through your life!! mess to masterpiece-He is the potter and we are His clay. Wow! Thank you for sharing some of your journey Sarah! I for one am blessed daily by your insight and wisdom. You are an AMAZING masterpiece! Amazing! Your story is powerful! Like LisaMac I am also so thankful for you ministering to me. 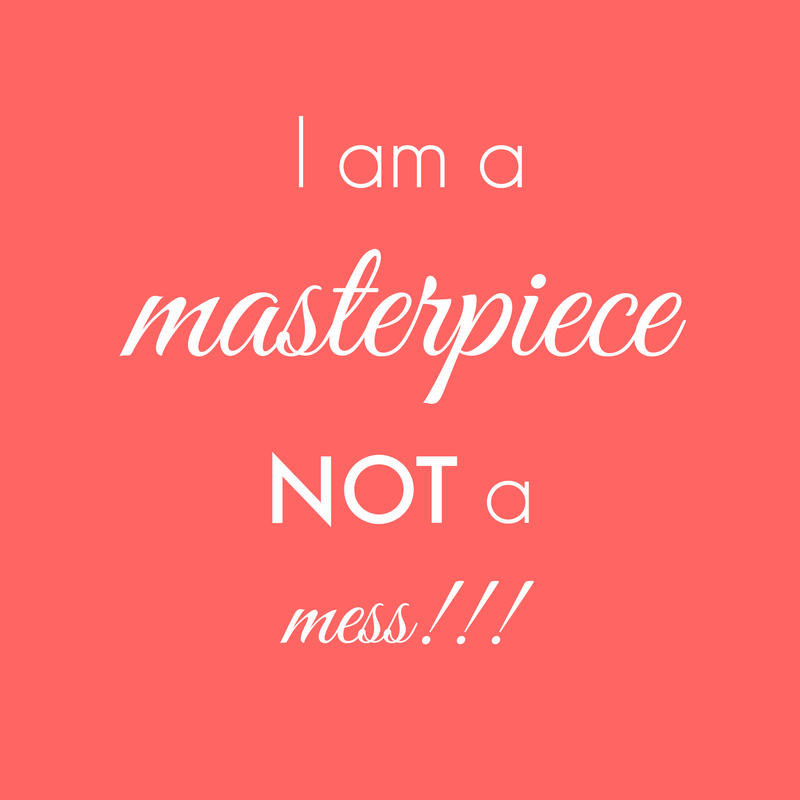 You are a masterpiece! Oh my goodness gracious. My first comment didn’t post 😦 so let’s try this again. Thank you so much for sharing this Sarah. We have a lot in common. God has also brought me from suicide to partial surrender. I say partial because I’ve found myself back here again and am trying to get out. I’m so happy that you’re in my life ministering to me along with all the other girls at P31 OBS. This was speaking to me today and I’m so thankful.